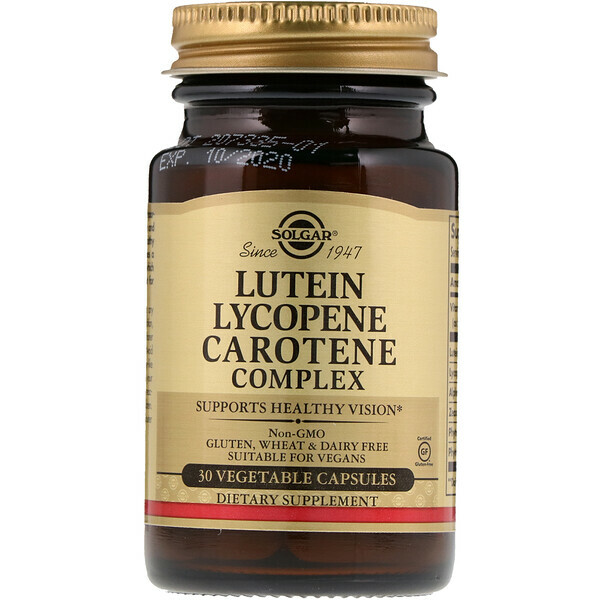 Lutein and lycopene are both important, natural antioxidants. Lutein and beta-carotene help support healthy vision. 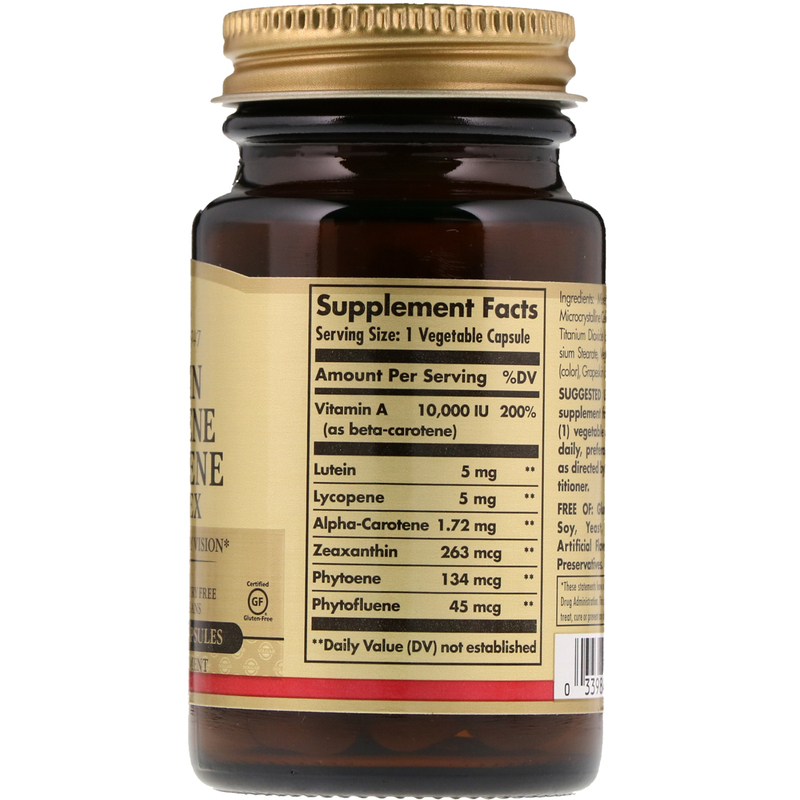 This formulation provides a daily variety of carotenoids, which science indicates are important for overall good health. Mixed carotenoid complex, microcrystalline cellulose, vegetable cellulose, titanium dioxide (color), vegetable magnesium stearate, vegetable glycerin, caramel (color), grapeskin (color).